So, I’m trying to be good lately. Good meaning eating better. 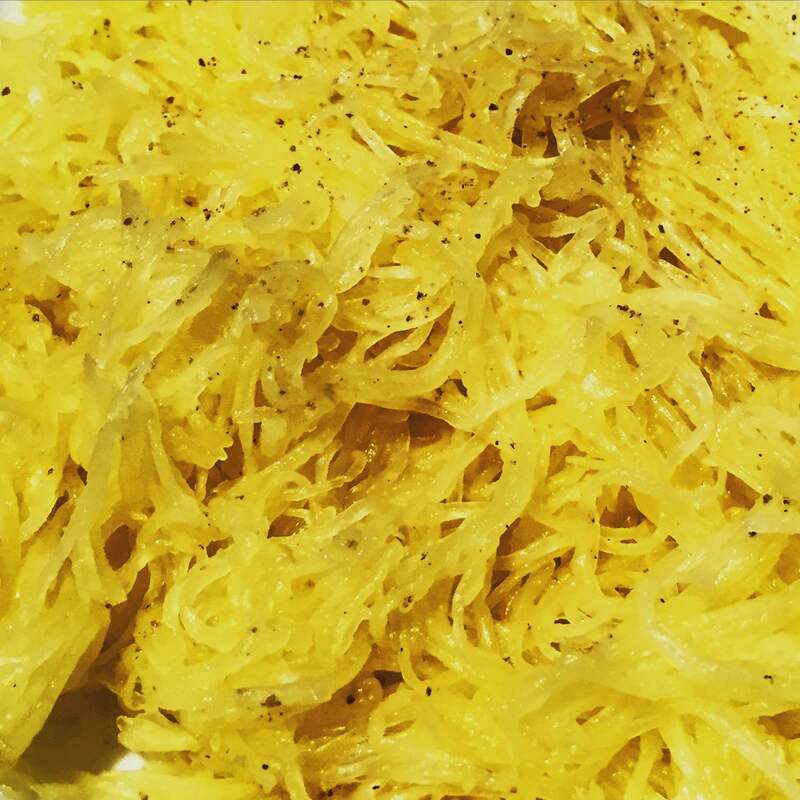 I have had spaghetti squash once before in my life and I remembered really liking it! I bought a squash about a week ago at the store and last night I had still not done anything with the squash. It was due time! I pulled out some frozen meatballs from the freezer and the meal was made.